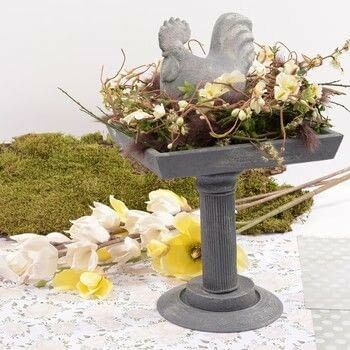 Use this creation as a centerpiece on your breakfast table and combine it with candles or other Easter decorations. We’re sure this impressive project will be the crowning glory of your Easter breakfast. 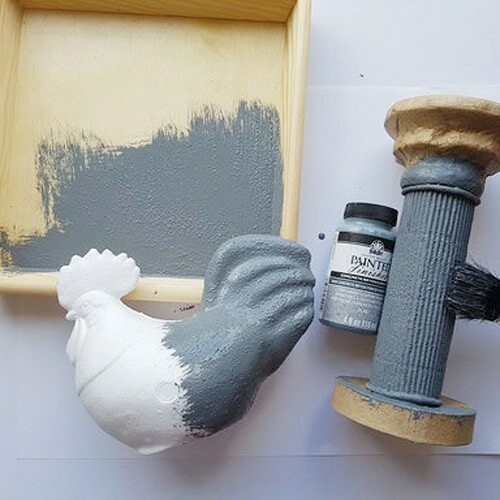 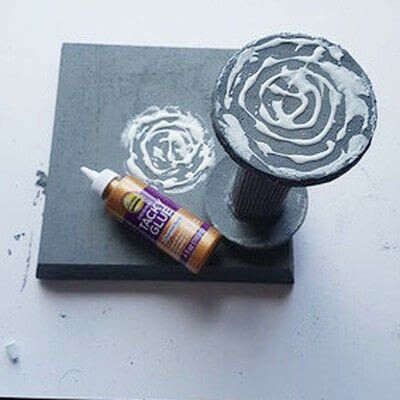 Paint the styrofoam hen, wooden tray and paper mache pedestal with the dark concrete paint. 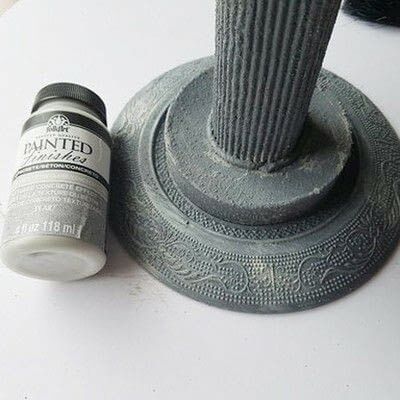 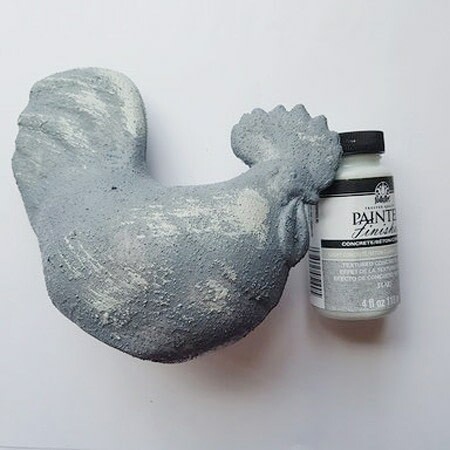 Use the light-colored concrete paint to create some shading effects, for example on the comb and tail of the hen and on the pedestal. 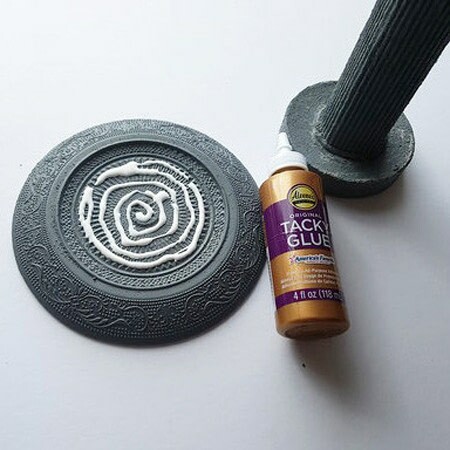 Stick the pedestal to the underside of the tray with Tacky Glue. 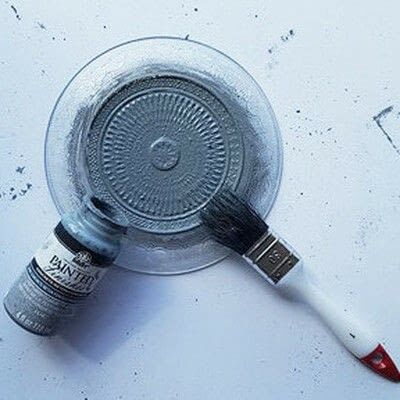 Paint the underside of a cake plate with the dark concrete paint. Stick the pedestal to the underside of the cake plate with Tacky Glue.